ShareASale Rakuten Affiliate NetworkEach blogger has their preferred links websites and programs which they use as affiliate links to make money. There are a few companies that are not linked to much or any networks. These ask you to sign up on their website. This process of going over to each new website to sign up and login over and over for use can get annoying. Remembering all these login details is also quite tedious. Or some affiliate programs that will only accept you if you have a large number of visits to your website each month. 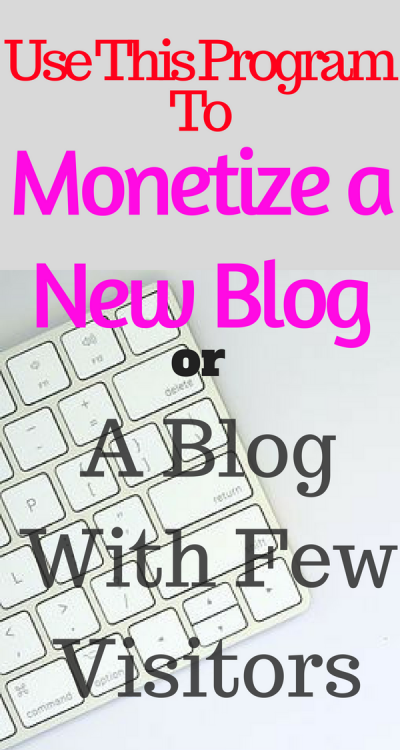 But new bloggers with less traffic too want to start making money, you do not have to wait till you have thousands of views per month to start making money with your blog. This is where MagicLinks comes into the picture. MagicLinks is a free and simple to a use affiliate network which enables bloggers to create affiliate links for products and help promote them on the internet using various online social media sites such as YouTube, Facebook, or Pinterest. In simple words, MagicLinks is a website made for creating affiliate links at your convenience. These links serve as the tools for electronic commerce. It works similar to ShopStyle Collective, however, the pay depends on the merchant affiliate model. It can cost Per Action, Cost Per Sale, Cost Per Lead or Cost Per Click. MagicLinks provide free tools to help create affiliate links that can be shared on social media platforms. I think these are self-explanatory but do ask a question if any is not clear. MagicLinks can also be seen as a one-stop shopping retailer for the affiliate programs. It paves way for you to connect effortlessly with your visitors and be able to sell whichever product you choose online. MagicLinks works with big names like eBay, Nordstrom, Sephora. Think of any merchant you`d like to join, you just check and they may already be partners with Magic links. The number and variety of products for which affiliate links can be built are huge. You can choose products in accordance with your blog or website and promote them through your blog or social media. You can blog about products, review them and provide an affiliate link for the said product to be used by the visitor so they are able to click and see the product for themselves and buy it if they choose to. This is the easiest and one of the most effective way to promote a product. When the visitors click on the affiliate links provided by you and makes a purchase then you earn a percentage from the selling price of the product. The percentage is predetermined which varies from store to store. It can be anywhere between 2 and 50% with the average being 8-9%. Out of this rate, 70% is yours while MagicLinks keeps the remaining 30% as a payment for providing a convenient platform. The payment is made to you through MagicLinks as soon as a sale or a click happens where both (CPA) Cost Per Action and (PPC) Pay Per Click are calculated. Working with magicLinks is the same as with any other affiliate networks after you`ve been accepted(which is quick and painless) you search retailers, create links and share them where you want to and watch the money roll in when you make a sale. For any blogger and if you still do not have enough traffic, this is the best program for you as they do not mind if you don`t have thousands of visitors, Any social media, Youtube, Pinterest, Instagram, Snapchat, Facebook Live. It sure makes it easier finding products in one location. The program is free to join even if your blog is new and you do not have much traffic. Magiclink has tutorial videos, detailing and informing you on how to use their site and platform. They are all easy to understand and follow, making you an expert in no time. You can tell someone here is passionate about what they do and want the best for their affiliates. The standard supports is all covered from the FAQ page, chat, Help page, Tutorials page, and Email. Makes the process of finding a suitable affiliate program easy and convenient. A real time saver! Useful in a great market with plenty of room for growth. Anyone can make a YouTube channel on MagicLinks and put it to use to earn money. Allows bloggers and content creators to promote the products which they like. They are provided with plenty of products to choose from. MagicLinks encourages and is open to receive feedback in order to improve their business services. MagicLinks is constantly improving their website in accordance with the latest working model and business requirements. You can easily learn how to use and setup MagicLinks properly through lots of walkthrough videos. Through MagicLinks you can connect with any retailer and get any product affiliate link. 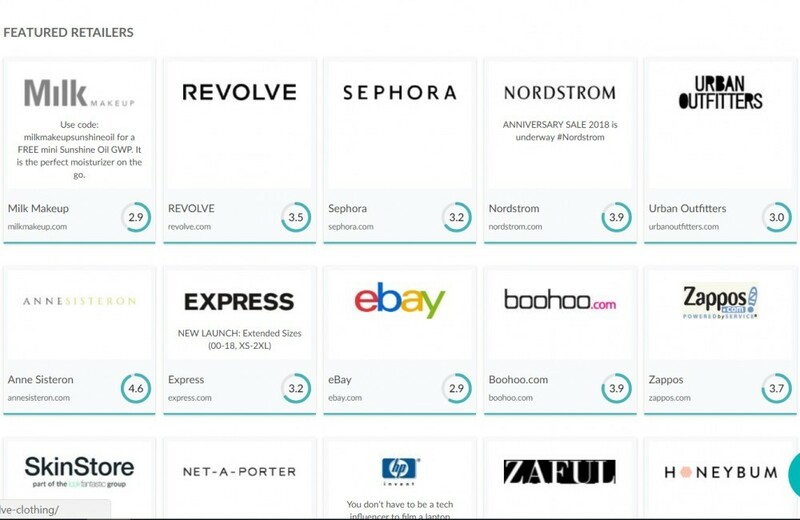 More than 1,500 retailers can be found on MagicLinks to choose from and more than 100 million products offered by those retailers. You can create multiple affiliate links just by typing or by pasting the name of the product in the Link Wizard. Chat option is available on each page of their website through which you can get help at any point in time. MagicLink claims to give higher commissions than other affiliate programs. MagicLink also has an active referral program where you can make 40% for a year for each referral. As mentioned earlier, MagicLinks takes a commission from your sales. How much? 30%. The remaining 70% is what you get paid but it still beats joining every single affiliate program one at a time. Of course, there are other affiliate programs out there, but the programs above will accept you even if you have no website traffic. If your blog is new, you can still join MagicLinks, it makes it easier to find products all in one location. Hence, MagicLinks, without a doubt, is a time saver and to be honest an all-around amazing website. MagicLinksl provides a quality-based, convenient, and easy to use platform so that you can devote more time in creating content as the content is the king. It is also the only platform to have a Pay Per Click (PPC) program in addition to their Pay-Per-Sale program. It doesn’t matter whether you are a new blogger or a veteran, do check it out and see for yourself. It’s worth looking at. Before you can become a successful affiliate marketer you need to understand how Affiliate marketing works. Read this short post to understand how to be successful at affiliate marketing. If you are struggling to build a successful website or not getting enough support to help you succeed, or are you tired of buying products after products that do not work anyway I`d suggest you check my # 1 recommendation where I learned to build a successful online business. It provides the best affiliate marketing training online along with the most helpful and friendly community, with all the support to get you building a successful online business from scratch. Best of all? it`s free to get started. I recommend you read my #1 Recommended Program and sign up to get started today. thanks for stopping by, you can always join MagicLinks, I appreciate that they do not force affiliates to make sales in a specific time or some complicated must have some websites do require. glad you found the post useful, thanks for stopping by. That actually sounds really helpful for me! I need to look into it! you can apply to join MagicLinks any time you`re ready,they are easy and quick to join. I hope you will soon, they are user-friendly and have a selection of products for you to promote. Great post! Really informative and detailed. I’m definitely considering MagicLink. Sounds like an amazing tool! Give them a try, and did I mention that MagicLinks cookie period are better than those of Amazon? I have never heard of magiclinks, but it is definitely something to look into! It certainly looks promising! Give MagicLinks ago, you will be surprised how easy it is to join and easier to make money too. There are many programs out there,you can not hear of them all at the same time but if you`re looking for an affiliate program that`s user friendly then you should try magicLinks. I actually signed up for MagicLinks recently but have yet to use them, I have another website that I use for links so I haven’t tried MagicLinks, still need to figure it out…maybe I will soon!! there is nothing much to figure out, MagicLinks has a very user-friendly interface and you`ll master it in no time.Let me know how it goes. I may be wrong but I feel like these kind of avertsiment is more for fashion bloggers. I think it kind of depends on your nieche. You`re right unlike Amazon, MagicLinks does not have as many products as Amazon but still a very good place especially for those living in areas that can not sell on Amazon. WOW! I would love to go check MagicLinks out. Currently, I use Share A Sale and I’m trying t get into Amazon. People always talk of Amazon but I do not understand why, although they have a large number of products to sell, their commissions are so low and Amazon cookie time is only 24 hours.I`m sure you will be fine even without using Amazon affiliate market place. Perfect! This is exactly what I need to look into. I learned so much on your post, super thx! You are welcome Casey, glad you found the post useful MagicLinks is the best program for bloggers who still have no traffic unlike sites like Amazon where you must make sales within a given time to stay an affiliate, MagicLink lets you go at your pace.